Abel Fernandez, who played William Youngfellow on the classic TV series The Untouchables, died on May 3 at the age of 85. The cause was lung cancer. Abel Fernandez was born in Los Angeles, California on July 14 1930. His mother was a Yaqui Indian and his father was Mexican. He attended Belmont High School. At age 16 he enlisted in the United States Army. He served as a paratrooper in the Airborne 11th. 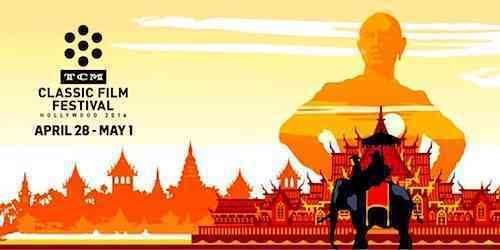 He took up boxing while in the military and won the title of Asiatic Forces middleweight champion. Mr. Fernandez boxed professionally following his service. He won the Los Angeles Golden Gloves tournament. He was a runner up in the National Golden Gloves tournament in Chicago. He boxed professionally until 1953. It was in August of that year that he told the Associated Press, "I don't think I'd be much good as a fighter anymore. I got to the point where I hated to hit guys. I was afraid I'd hurt them. I sent three boys to the hospital and spent most of my time visiting them. Fighters shouldn't care who they hit or how or where." Abel Fernandez found a second career as an actor. He made his film debut in 1953 in Second Chance, fittingly enough playing a boxer. In the Fifties he appeared in such films as Alaska Seas (1954). Rose Marie (1954), Many Rivers to Cross (1955), Devil Goddess (1955), Fort Yuma (1956), and The Harder They Fall (1956). He made his television debut on an episode of Stories of the Century. He guest starred on such shows as The Joe Palooka Story, Cavalcade of America, The Ford Television Theatre, Cheyenne, The Adventures of Jim Bowie, The Adventures of Rin Tin Tin, Disneyland, Have Gun--Will Travel, 77 Sunset Strip, Zane Gray Theatre, The Restless Gun, Gunsmoke, and Bonanza. Abel Fernandez was a regular on the television adaptation of the popular comic strip Steve Canyon. He played Airman Abel Featherstone on the show. Steve Canyon lasted only one season. It was in 1959 that Mr. Fernandez made what may have been the most significant guest appearance of his career. He guest starred on the two-part Westinghouse Desilu Playhouse episode "The Untouchables", which was based on former Treasury agent Elliot Ness's memoir of the same name. Abel Fernandez played William "Bill" Youngfellow, who was based on the real life member of the Untouchables, William Jennings Gardner. Like both Abel Fernandez and William Jennings Gardner, Bill Youngfellow was Native American. This made the character one of the earliest Native American characters to appear in a drama set in a time and place other than the Old West. 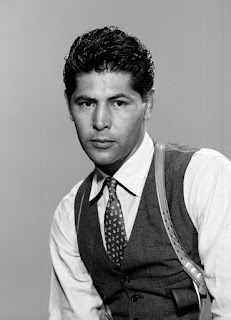 Besides Robert Stack as Elliot Ness, Abel Fernandez as Bill Youngfellow was the only member of the cast from the Westinghouse Desilu Playhouse episode "The Untouchables" to appear on the regular series The Untouchables. Mr. Fernandez remained with the show for its entire run. In the Sixties Abel Fernandez guest starred on such shows as The Barbara Stanwyck Show, The Travels of Jaimie McPheeters, Iron Horse, The Time Tunnel, Hondo, Lassie, Batman, The Virginian, The Big Valley, Daniel Boone, and Marcus Welby M.D. He appeared in the films. He appeared in the films La edad de la violencia (1964), Rio Conchos (1964), Apache Uprising (1965), The Appaloosa (1966), Dead Heat on a Merry-Go-Round (1966), Madigan (1968), and Topaz (1969). Abel Fernandez was absent from the screen in the Seventies, but guest starred on the shows Lou Grant and The Fall Guy as well as the film Quicksilver in the Eighties. In the Nineties he appeared in the film Buster's Bedroom (1991). In the Naughts he guest starred on the show Mujer, casos de la vida real. Abel Fernandez occupies an important place in American television history. Bill Youngfellow was one of the earliest Native American characters to regularly appear in a television series set in the 20th Century. Prior to The Untouchables the vast majority of Native American characters appeared in Westerns. What is more, unlike most Native American characters on television at the time, Bill Youngfellow was not a stereotype. In appearing in a setting other than the Old West and in not being portrayed as a stereotype, Bill Youngfellow was then very different from most Native American character on television in the Fifties and Sixties. Of course, Abel Fernandez played many other roles in his career. As an actual Native American he was often cast as American Indians in both Western TV shows and movies. Early in his career he played boxers several times. That having been said, he played many other roles in films. He was Kindley in Pork Chop Hill (1959), Private Geronimo in Target Zero (1959), and Detective Rodriguez in Madigan (1968). While the roles in which he appeared in films were often small, Abel Fernandez always gave a good performance. It was sixty years ago today that Elvis Presley's self-titled debut album hit number one on the Billboard album chart. At the time his single "Heartbreak Hotel" had been number on the Billboard Top 100 since April 21. In early 1956 Elvis Presley showed all the signs of becoming a phenomenon. His first single on RCA Victor, "Heartbreak Hotel", was released on January 27 1956 and was moving steadily up the charts. His final single released on Sun Records, "I Forgot to Remember to Forget", hit number on the Billboard Country chart on February 25 1956. Elvis made four consecutive appearances on the Dorsey Brothers' TV series Stage Show, first appearing on January 28 and last appearing on February 18. He appeared on Stage Show two more times, on March 17, and March 24. 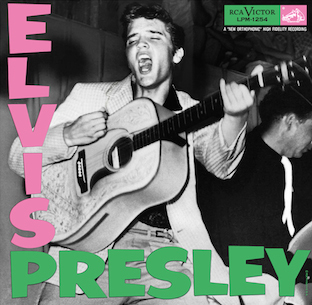 With Elvis Presley's career gathering momentum in the early months of 1956, it should not be surprising that RCA Victor would want to release an album right away. Fortunately RCA Victor had gotten the rights to Elvis Presley's Sun Records tapes when they signed him. They were then able to create the album, simply titled Elvis Presley, by combing five unreleased Sun Records tracks with seven songs he had recorded at RCA Victor. Curiously, the single "Heartbreak Hotel" was not included on the album. Many of the songs on the album were also covers of songs by other artists. These included Carl Perkins's "Blue Suede Shoes", Ray Charles's "I Got a Woman", Little Richard's "Tutti Frutti", Rogers and Hart's "Blue Moon", and Jesse Stone's "Money Honey". This was not unusual for albums at the time, which often combined a number of cover songs along with original material. Regardless, Elvis Presley proved very successful. It remained in the number one spot of the Billboard albums chart until July 7. Retitled Elvis Presley Rock 'n' Roll in the United Kingdom, it would also top the British albums chart. As to Elvis, he would be an outright phenomenon before the year's end. His next album, Elvis, was released in October 1956 and topped the Billboard albums chart as well. In 1956 Elvis had four more number one singles following "Heartbreak Hotel": "I Want You, I Need You, I Love You"; "Don't Be Cruel"; "Hound Dog"; and "Love Me Tender". If there was any doubt that Elvis Presley would be the next big thing, it would have been dispelled by his first appearance on the popular Ed Sullivan Show on September 9 1956. An unprecedented 60 million viewers tuned into the show, 82.6 percent of all television viewers at the time. Elvis was well on his way to becoming one of the biggest rock stars of all time. While I have always wanted to go to it, I have never attended the TCM Classic Film Festival (or TCMFF for short). As a huge fan of classic films and Turner Classic Movies it is on my list of things I would really like to do, but my finances have never quite allowed me to do so. Never mind that I would get to watch classic films on the big screen, there are many one-of-a-kind events at the TCM Classic Film Festival I would like to have seen. This year's TCMFF was no different. Given I missed her when she was in Kansas City, I would really have liked to have attended the Illeana Douglas book signing. I always thought Illeana was very talented and very funny, and I have gotten to interact with her during various TCMParties on Twitter (including the epic ones for her "Second Looks" series on TCM). It would be cool to meet her in person. I also would liked to have attended Rita Moreno's book signing. As many of you already know, I have had a crush on her since childhood. It would be nice to meet her in person, even if I would probably be a bundle of nerves! As to movies, there were so many I would have liked to have seen at this year's film festival. Among these was Batman (1966) with Adam West and Lee Meriwether. I have always been a fan of both the TV series and the film, and it would have cool to have seen Adam West in person. I would also liked to have seen Forbidden Planet (1956), especially given Robby the Robot made a surprise appearance! I also would have liked to have seen Dead Men Don't Wear Plaid (1982), primarily for the chance to see Carl Reiner. Mr. Reiner is one of my heroes and I can guarantee seeing him in person would have been the highlight of the festival for me! The other highlight for me would have been The Manchurian Candidate (1962) with Dame Angela Lansbury. I have always been a huge fan of her. Of course, there are many other films at TCMFF I would liked to have seen: Band of Outsiders (1964), The Big Sleep (1946), Dark Victory (1939), A Face in the Crowd (1957), The Freshman (1925), Horse Feathers (1932), It's a Wonderful Life (1946), and Network (1976), among many others. Of course, more than seeing any legendary celebrities in person or watching any beloved films on the big screen, the primary reason I would like to attend the Turner Classic Movies Film Festival is the opportunity to meet my classic film friends. Over the years I have befriended many fellow classic film fans online and I feel closer to many of them than people I know in person. Indeed, many of them I have literally known for years. Sadly, I have never met them in person. I would love to be able to finally meet them, as well as such TCM personages as Ben Mankiewicz (whom I did get to talk to when I did Fan Favourites), Robert Osborne, and Illeana Douglas. In fact, I can guarantee getting to meet long time friends for the first time in person would be what I would love most about the festival. It is because I have so many online classic film friends who did attend the festival that I have gotten to experience TCMFF vicariously. There was no shortage of photos and reports about the Turner Classic Movies Classic Film Festival posted to such social media outlets as Twitter, Instagram, Facebook, and Google+. I swear that most of my friends got photos with Ben Mankiewicz or Illeana Douglas! Now that the festival is over many of my friends are making blog posts about it. As a result I am not only getting to see what the festival looked like, but learn a lot of what takes place at the festival. I want to say that I am very thankful to all of my friends for posting so much about TCMFF! Below are several blog posts on the 2016 Turner Classic Movies Classic Film Festival. I will be updating the list as more are posted! Let me know if I miss any. "TCM Classic Film Festival 2016: Opening Night Red Carpet"
"TCM Classic Film Festival 2016: Francis Ford Coppola Hand and Footprint Ceremony at the Chinese Theatre"
"TCM Classic Film Festival 2016: The Stars"
"TCM Classic Film Festival 2016: The Films, Part One"
"TCM Classic Film Festival 2016: The Films, Part Two"
"2016 TCM Classic Film Festival Schedule: THURSDAY"
"2016 TCM Classic Film Festival Schedule FRIDAY"
"2016 TCM Classic Film Festival Schedule, SATURDAY"
"2016 TCM Classic Film Festival Schedule, SUNDAY"
"Highlights From the TCM Classic Film Festival"
"Son of the TCMFF Survival Guide"
"A New Kilt for TCMFF, Translated"
"TCMFF 2016 - Initial Wrapup"
"2016 #TCMFF: The First Full Day"
"Turner Classic Movies Film Festival 2016: The Films"
"Turner Classic Movies Film Festival 2016: The People"
"Day 2 of TCMFF 2016 Goes Out With a “Roar”"
"TCMFF 2016, Day 3: My Day of Presentations"
"TCMFF 2016, Day 4: An Interview to Remember"
"My 2016 TCM Classic Film Festival Must-Sees"
"The TCM Classic Film Festival: Pre-Fest and Day 1"
"The TCM Classic Film Festival 2016: Day 2"
"The TCM Classic Film Festival 2016: Day 3"
"The TCM Classic Film Festival: Day 4"
"The 2016 TCM Classic Film Festival in Review"
"The 2016 TCM Classic Film Festival: Day One"
"The 2016 TCM Classic Film Festival: Day Two"
"The 2016 TCM Classic Film Festival: Day Three"
"The 2016 TCM Classic Film Festival: Day Four"
"The 2016 TCM Classic Film Festival: Day Five"
"TCM Fest really does have something for everyone"
"My Top Picks for the 2016 TCM Classic Film Festival"
"TCM Classic Film Festival 2016: Day 1 and 2 Recap"
"TCM Classic Film Festival 2016: Day #3 Recap"
"TCM Classic Film Festival 2016: Day #4 Recap"
"TCM Classic Film Festival: Day #5 Recap"
"TCM Classic Film Festival: Day #6 Recap"
"Who I Met, Who I Saw and My Thoughts on the 2016 TCM Classic Film Festival "
"TCM Film Fest 2016: Emotions Run High"
"TCMFF 2016 printable schedule + my top picks"
"TCMFF souvenirs (alternate title: coolest photo of Monica Vitti ever)"
"The 2016 TCM Classic Film Festival"
"2016 TCM Classic Film Festival Side Trips"
"2016 TCM Classic Film Festival: Elliott Gould & The Long Goodbye (1973)"
"TCMFF, Day 2: The Day Where Everything Was a Highlight"
"2016 TCM Classic Film Festival: A House Divided (1931)"
"2016 TCM Classic Film Festival: Private Property (1960)"
"2016 TCM Classic Film Festival: Law and Order (1932) & Bulldog Drummond Strikes Back (1934)"
It was 53 years ago today that "From Me to You" by The Beatles hit no. 1 on the British singles charts. The song was written by John Lennon and Paul McCartney while The Beatles were on tour with Helen Shapiro. The song's title and chorus was inspired by the title of the letters section of the music magazine Melody Maker, "From You to Us". "From Me to You" was recorded at Abbey Road Studios on March 5 1963. It was released in the United Kingdom on April 11 1963. It was only a few days later that it hit the top of the charts. "From Me to You" was the first Beatles song to reach no. 1 on every singles chart in the United Kingdom. Their previous single, "Please Please Me", had reached no. 1 on every singles chart except the Record Retalier's chart (generally considered the definitive chart at the time), where it peaked at no. 2. "From Me to You" was released in the United States on Vee-Jay Records on May 27 1963. It initially failed to chart, even though Cash Box magazine had named it a "Pick of the Week". That having been said, "From Me to You" would see composers John Lennon and Paul McCartney's first real success in the United States. Both The Beatles and American artist Del Shannon performed at the all-star concert Swinging Sound '63 at the Royal Albert Hall on April 18 1963. Del Shannon decided that he wanted to cover "From Me to You" and release it as a single in the United States. Del Shannon's cover of "From Me to You" became the first Lennon/McCartney song to enter the Billboard Hot 100, doing so June 29 1963. Unfortunately it would only spend four weeks on the chart, peaking at no. 77. With Beatlemania growing in the United States, Vee-Jay re-released "From Me to You" on January 30 1964, although only as the B-side to "Please Please Me". This time it performed much better in the United States. Despite only being a B-side, it peaked at no. 41 on the Billboard Hot 100. Here, from On Air, Live at the BBC Vol. 2, are The Beatles performing "From Me to You". It was 100 years ago today that Glenn Ford was born Gwyllyn Samuel Newton Ford in Sainte-Christine-d'Auvergne, Quebec, Canada. He was eight years old when his family moved to the Santa Monica, California in the United States. He became a naturalised citizen of the U.S. in 1939. After graduating Santa Monica High School he started acting at various small theatres in California. He signed with Columbia Pictures in 1939 His first major roles followed not long afterwards. He played opposite Rita Hayworth in The Lady in Question (1940) and appeared in the independently produced So Ends Our Night (1941). During World War II he served in the Coast Guard Auxiliary and the United States Marine Corps. After the war he served in the U.S. Naval Reserve. It was following the war that Glenn Ford's career really began to take off. He starred in the legendary film noir Gilda (1946) and in such films as A Stolen Life (1946), The Big Heat (1953), and Human Desire. It was arguably with the mid to late Fifties that Glenn Ford reached the height of his career. He starred in the classic social commentary film Blackboard Jungle (1955), the classic hard-boiled Western 3:10 to Yuma (1957), the classic Western The Sheepman (1958), and the war film Torpedo Run (1958). In 1956 he entered the top ten of Quigley Publishing's Poll of Film Exhibitors for the first time, ranking at no. 5. He topped the list in 1957 and ranked no. 6 in 1959. 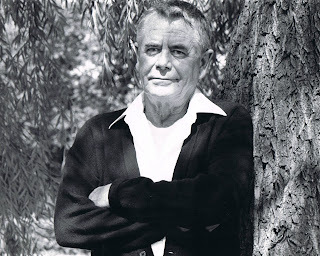 While Glenn Ford's career arguably reached its peak in the late Fifties, he continued to work steadily in the Sixties. 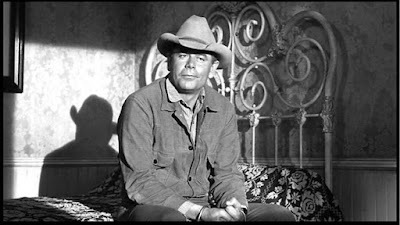 He appeared in such films as The Courtship of Eddie's Father (1963), Fate Is the Hunter (1964), The Rounders (1965), and Day of the Evil Gun (1968). 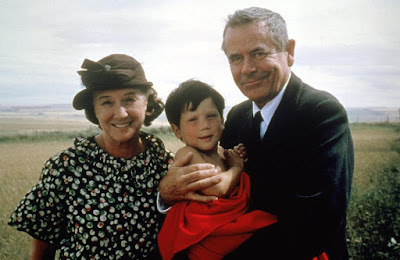 In the Seventies he was the star of the TV show Cade's County and appeared in the films Midway (1976) and Superman (1978). His final appearance on the big screen was in the film Raw Nerve in 1991. 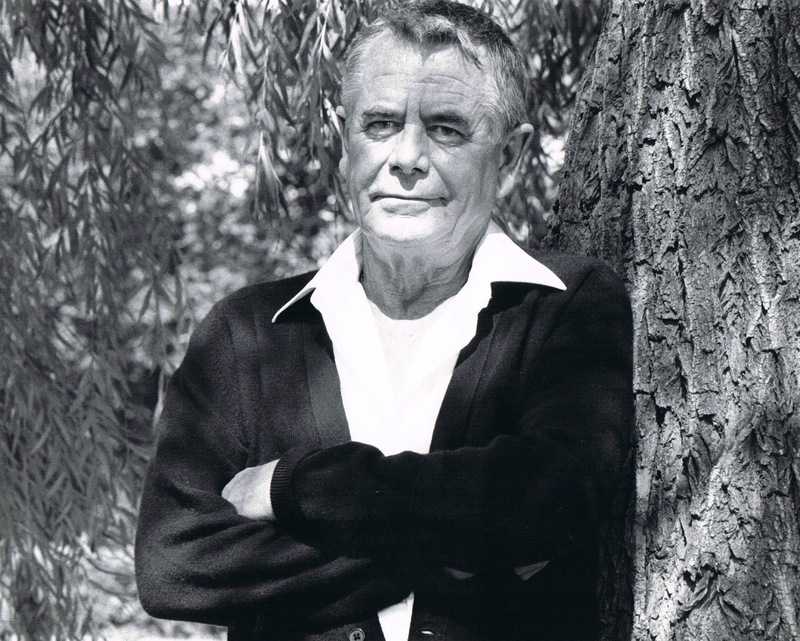 With a career that spanned over fifty years Glenn Ford remains one of the best remembered and most beloved stars of the 20th Century. He was an actor who was comfortable in a number of genres. While he did many Westerns and action films, he also starred in comedies, suspense thrillers, and even horror films. In honour of his 100th birthday, then, here is a pictorial tribute. 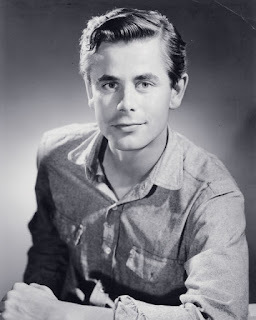 Glenn Ford in the early days of his career.